In a world where data collection happens at every corner — from your online browsing history to what you buy at the grocery store — it comes as no surprise that your history of writing checks is also tracked. One of the most prominent agencies collecting data on your check-writing behavior is TeleCheck. Much like ChexSystems, if your past involves writing bad checks or having insufficient funds, there’s a strong chance that your history has been cataloged in TeleCheck’s system. 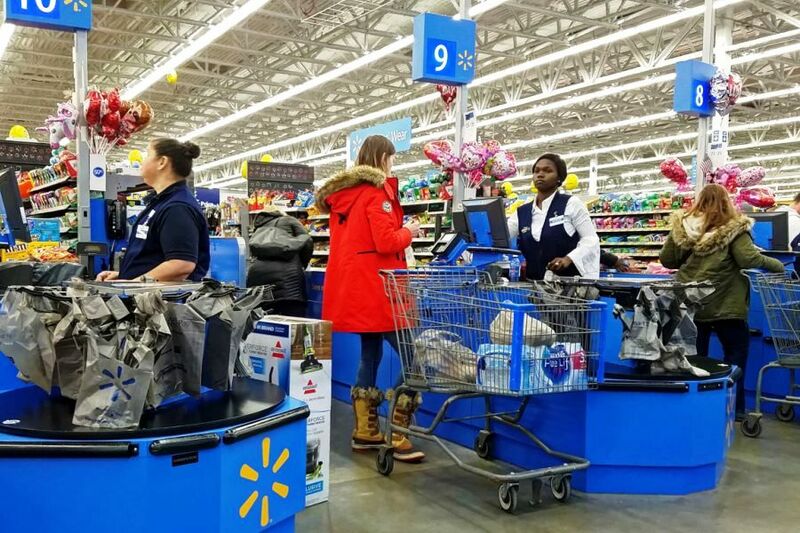 This can lead to a number of unfortunate consequences, including having your checks declined at the checkout counter of stores like Walmart, Walgreens, Kmart, and Kroger. Once you understand how TeleCheck works, however, you can take control and begin to reverse the damage caused by the information there. Then you can begin rebuilding your check history so you never have to worry about declined tenders again. 2 How does the TeleCheck process work? 3 Why does TeleCheck decline my checks? 4 How can you view your data in TeleCheck? 5 How Can I Get a Free TeleCheck report? 6 Can you dispute the information in your TeleCheck report? 7 How can you submit a dispute? 9 How does the dispute process work? TeleCheck is a consumer reporting agency, but unlike the better-known credit bureaus, TeleCheck focuses primarily on your check writing history. This is in contrast to the payment and consumer debt history tracked by Equifax, Experian, and TransUnion. Retailers and other merchants can utilize TeleCheck in real-time to instantly determine whether or not they will accept your check as an appropriate form of payment. 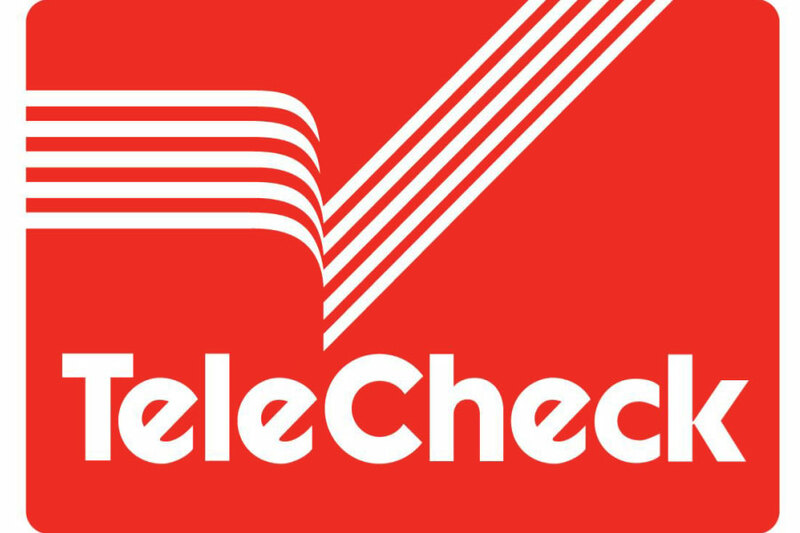 If you’ve ever tried to use a check at the cash register and had it denied, the reason is almost certainly because of TeleCheck. The agency uses a broad range of data to help inform retailers, including any negative information related to your past check transactions and bank accounts. In addition to retailers, financial institutions such as banks and credit unions may also use TeleCheck as part of your application process for a checking or savings account. This is on top of Chexsystems, another consumer reporting agency that helps banks decide whether or not you should be approved for a particular type of bank account. Having multiple safeguards in place may be helpful for financial institutions, but it can oftentimes be damaging if you have a bumpy past with writing checks. Like all consumer reporting agencies, however, TeleCheck is subject to regulations from the Fair Credit Reporting Act. This protects consumers like you from having inaccurate or unfair financial information curtail your access to different financial products and accounts. How does the TeleCheck process work? TeleCheck integrates its services into participating merchants’ points of sale. As you stand at the register after handing over your check, the TeleCheck system quickly analyzes the check to see if you have any negative history or other risk factors. It uses a predictive risk scoring model to recommend whether or not the merchant should accept the check. If the system determines that your check is likely fraudulent or at risk of having insufficient funds in the corresponding checking account, it will not recommend that the merchant accepts it. The merchant can make their own decision of whether or not to actually take your check, but only receives a guarantee of funds from TeleCheck if their advice is taken. You can imagine that most merchants generally won’t take a check declined by TeleCheck because they run a greater risk of not actually receiving those funds. While TeleCheck’s exact formula is unknown, it is certain that two different types of data are collected: your debt history and your check history. Your debt history here doesn’t have anything to do with your outstanding credit card balance or your monthly mortgage payment. Instead, TeleCheck reviews debt records submitted by merchants from across the country who report customers that have outstanding debts based on checks or other forms of payment. TeleCheck also researches profile characteristics of fraudulent or insufficient checks. Using this data, they can predict what a bad check looks like and consequently make a recommendation for the merchant to decline the transaction. TeleCheck’s goal is to help merchants reduce their risk of losing money by accepting checks that they can’t actually cash. Unfortunately, the system often unintentionally hurts innocent customers who rely on this form of payment. Why does TeleCheck decline my checks? It’s impossible to know what exact parameters TeleCheck uses to make a decision on approving or declining a check. But there are some factors that absolutely affect your history within the TeleCheck system. We’ve identified six major categories that can influence your ability to have a check accepted at the cash register. Familiarize yourself with each one to determine which are likely having the greatest impact on your check writing abilities. It’s an unfortunate reality that our lives are often adversely affected by mere human error. There are a number of points where this can impact the acceptance of your checks through TeleCheck. For example, any accidental errors in the information listed on your driver’s license or other form of ID can trigger a red flag. A cashier might also mistakenly key in your information incorrectly. No matter how amazing technology becomes, there can never be a perfect system due to the simple existence of human error. TeleCheck uses a number of variables to determine the risk related to accepting each check. While there are too many to count, TeleCheck does review related statistics on how likely fraud is to occur. This includes what kind of goods are typically bought, how much is spent, and what stores are more prone to fraud risk. On top of these broad factors, TeleCheck continually monitors and analyzes more specific trends to determine potential risk profiles, even if it’s not relevant to your personal financial history. Your profile is also flagged if you have a history of writing bad checks. This can include writing a check with insufficient funds in your account or even trying to float a check for a few days until your next paycheck hits your bank account. While many risk factors are broad ones based on research and indicators, this is one that is entirely specific to your financial behavior. We mentioned earlier that TeleCheck tracks check debt, and this history plays a huge role in whether or not a merchant accepts your check. So if you’ve racked up unpaid fees for overdrafting or other infractions with your bank, they can come back to haunt you. Even if you eventually pay off that debt, it’s still attached to your history with TeleCheck. Not only can a negative check writing history affect your standing in TeleCheck, a brief history may also have a negative impact. So if you simply don’t write checks very frequently, TeleCheck may determine that they don’t have enough data to make an informed decision. This situation typically (and unfortunately) results in having your check denied. It’s really the same conundrum you’d have if you were trying to get approved for a credit card but didn’t have enough of a credit history to qualify for one. Bank account and check fraud, even when you’re the victim, can negatively affect your profile within TeleCheck. For instance, if you reported stolen checks, that information is typically forwarded to the consumer reporting agency and any check numbers from that book would be declined. You might also unknowingly be the victim of fraud if someone uses your driver’s license number in connection with cashing bad checks. Even if your personal information was compromised but you simply don’t know about it, that information can be linked to your TeleCheck account. How can you view your data in TeleCheck? While TeleCheck does rely on some general statistics on fraud prevention, it’s important to understand what specific items might be plaguing your ability to write checks at the store. Just like you’re allowed to access one free credit report each year, you’re also allowed to get a free copy of your TeleCheck report. You can also get a free copy if you’ve had an “adverse action” notice, such as having your checking account application denied because of your TeleCheck report. Requesting your copy is easy to do, and it helps you make sure that everything on there is accurately reported. Even if the negative information is accurate, even just knowing what’s on there can help you fix problem areas in your finances and start making choices that will positively build your check and finance history. How Can I Get a Free TeleCheck report? However, while this information is suggested, many experts warn against sending in a voided check and state that the rest of the documents should be sufficient. Be sure to include your most recent mailing address in your letter so that TeleCheck can send your report to the right place. They’ll only communicate with you to confirm your information in order to protect your privacy and you should receive your report within 15 business days. If you don’t, follow up with the company. If you still have trouble getting a copy of your report from, consider filing a complaint with the FTC. In most cases, however, you should receive a timely response. Can you dispute the information in your TeleCheck report? After reviewing your information listed on your report, you may discover one or more inaccuracies. Perhaps you’ve unknowingly become the victim of check fraud and have multiple negative items associated with your account. Or perhaps there are accidental unpaid charges listed that don’t belong to you. Whatever the reason may be, you legally have the right to dispute any information you don’t agree with on your report. How can you submit a dispute? All disputes must be submitted to TeleCheck via mail. Start off by downloading the appropriate form from the TeleCheck website. You’ll need to fill out each field, including your contact information, financial institution information, driver’s license number, and social security number. Then, you’ll have room to list out your disputed items. A single form allows space for six disputes, and also includes a section for any additional comments you’d like to relay. You’ll simply need the name of the financial institution and the relevant account number, as well as the reason you are disputing the item. TeleCheck also states you can submit any supporting documentation but we do not recommend doing this. As a consumer reporting agency, it is their job to verify the accuracy of the information they include on your report. You can also fax it to 402-916-8190, but we don’t recommend doing this for two reasons. First, your dispute paperwork contains sensitive personal information like your social security number. Secondly, there’s no way for you to confirm that your form was actually received. When sending a hard copy, you can request a return receipt that shows you the letter has actually been received by TeleCheck. Thanks to the FCRA, TeleCheck must investigate all disputes within a certain period of time. If you requested a free report, they have 45 days to respond; otherwise, they only have 30 days to do so. As part of the investigation process, TeleCheck will attempt to verify the information from the company who originally reported you. If the item can’t be verified, it should be removed from your report. Just like negative credit items, any verified items on your TeleCheck report remain there for seven years. In many cases, however, it’s possible to have those items successfully removed early.